Obesity affects tens of millions of children and adults worldwide, and while it’s difficult for many parents to maintain healthy lifestyles for themselves and their kids, new research shows that parents’ -- particularly moms’ -- daily habits could be affecting their children’s weight. Researchers from the Norwegian University of Science and Technology studied over 4,000 children and their parents for over a decade and found that when a mother loses weight, it affects the children, though the same was not true of the father. Over the course of the study, the researchers examined both parents’ and children’s diets and day-to-day physical activity. In families where the mother lost weight -- even in small increments -- the children were also found to have lower body mass indices (BMIs). Fathers’ weight loss or gain showed no change in children’s weight. A similar relationship existed with physical activity. Mothers that regularly exercised had children who were healthier and more active, while mothers that didn’t exercise had children with higher BMIs. “Mothers whose activity levels drop as their children are growing up are linked to children with higher BMI in adolescence,” Næss said. However, similar to weight loss and gain, fathers’ activity level had no bearing on the rest of the family. The researchers suggest this may be because mothers oftentimes make decisions that affect the whole family. Whether it’s what to eat at meals, or family activities, if the mother is looking to remain healthy and active, these choices typically extend to affect both the children and father. 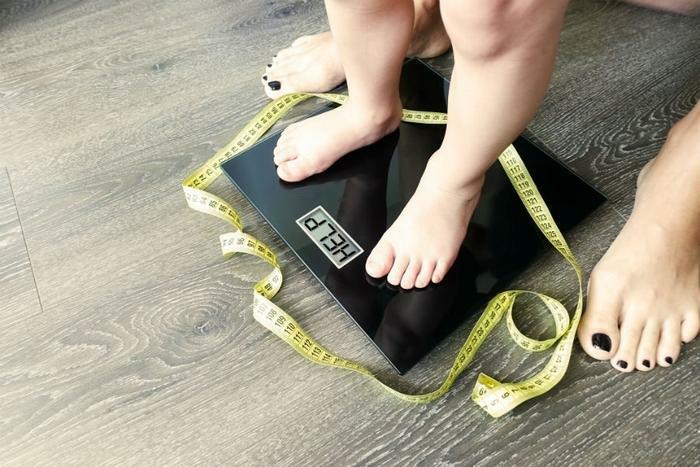 Childhood obesity is a concern for many parents, as researchers have found that many habits that start in childhood can follow children into adulthood. Moreover, the health risks associated with childhood obesity can also follow children into adulthood. Researchers at Harvard’s T.H. Chan School of Public Health also found that mothers who lead healthy lifestyles are more likely to reduce their children’s risk of developing obesity. The study found that mothers who eat a healthy diet, exercise regularly, keep a healthy body weight, drink alcohol in moderation, and don’t smoke are giving their children a better chance of living health lives. A recent study also found that children with asthma are at a greater risk of developing obesity. Researchers discovered that childhood asthma sufferers are 66 percent more likely to develop obesity than children who don’t have asthma, while children taking asthma medications that take corticosteroids are at an even greater risk. In later life, children who are obese may also be at a greater risk of developing pancreatic cancer. The study found that men were more likely to develop pancreatic cancer -- and cancers of all kind -- than women, and weight was the culprit. “There is growing concern regarding the impact of adolescent obesity on adult health,” the researchers wrote. For both children and adults, obesity increases the overall mortality risk. Researchers found that having a higher BMI was linked to an increased risk of death, as obesity has been found to lead to cardiovascular disease and several different types of cancer. “The findings highlight the need for a global effort to reduce the surging levels of obesity within society and suggest that in most cases, any reduction in body mass index to a normal, healthy level is likely to be beneficial,” said lead research Dr. Kaitlin Wade.